You experience slow SCCM/ConfigMgr console performance or unusual SQL query timeouts for certain Configuration Manager database queries or OSD Auto Apply driver’s execution will fail due to times out in environments running Microsoft SQL Server 2016 or 2014. 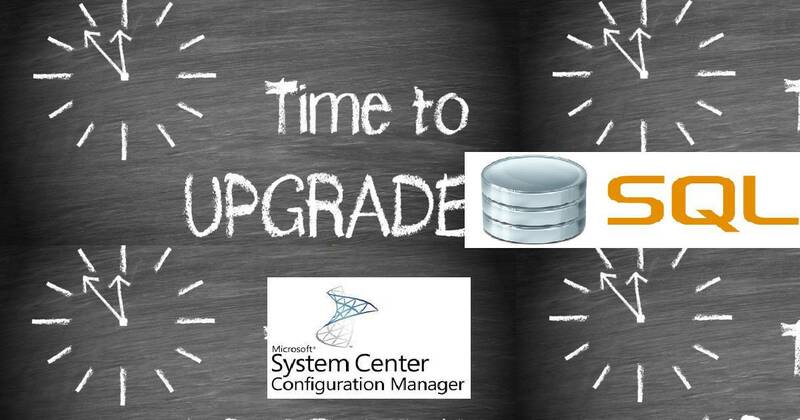 This post is to address the issues which we may face after migration from SCCM/ConfigMgr SQL 2012 to SQL 2014 or 2016. This could be very common issue for SCCM/ConfigMgr Admins once SQL servers are migrated to 2014 or 2016 versions. This is the first time I’ve a guest blogger Kannan C S sharing his experience. He is expert in SCCM/ConfigMgr with several years of SCCM and System Center experience. I will let Kannan C S to explain his experience in details. In this blog post, I will provide a quick overview about best practices we SCCM/ConfigMgr admins have to take care before and after the SQL Server 2014 or 2016 migrations. This also covers guidelines on troubleshooting issues on the issues like SQL query timed out and SCCM/ConfigMgr console slowness. In the SQL 2014 XML plan, there is a new attribute in StmtSimple called CardinalityEstimationModelVersion. When the value is 120, it means the new cardinality estimator is used. If the value is 70, it means the old cardinality estimator is used. Note: ANN00012 is example for Deployment ID, it will vary based on your environment. If the above query returns the result in faster, then there is no change required in your environment. Before making any changes on the DB take a backup !! Note In the two examples above, replace <CM_DB> with your ConfigMgr/SCCM site database name. However, when a database is upgraded from any earlier version of SQL Server, the database retains its existing compatibility level if it is at the minimum allowed for that instance of SQL Server. Upgrading SQL Server with a database at a compatibility level lower than the allowed level automatically sets the database to the lowest compatibility level allowed by SQL. One of the performance improvement in SQL Server 2014 is the redesign of cardinality estimation. The component which does cardinality estimation (CE) is called cardinality estimator. It is the essential component of SQL query processor for query plan generation. Cardinality estimates are predictions of final row count and row counts of intermediate results (such as joins, filtering, and aggregation). These estimates have a direct impact on plan choices such as join order, join type etc. Prior to SQL Server 2014, cardinality estimator was largely based on SQL Server 7.0 code base. SQL Server 2014 introduces new design and the new cardinality estimator is based on research on modern workloads and learning from past experience. What Deployment ID should I use for running this query?